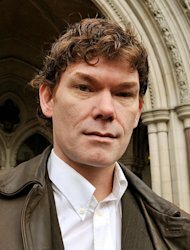 The case of computer hacker Gary McKinnon has been adjourned to see if he is willing to submit to a final psychiatric examination before the Home Secretary decides whether or not to order his extradition to the United States. High Court judges were told Theresa May was "close" to making a decision. But she was "personally concerned" that medical experts instructed by her department had so far not been permitted to carry out an examination to help her decide whether he would be at high risk of committing suicide if removed. The US authorities want Mr McKinnon, from Wood Green, north London, to face trial for hacking into military computers 10 years ago. The case was described by Hugo Keith QC, appearing for the Home Secretary, as "this rather vexed and perhaps totemic case" with important implications for Britain's extradition laws. The judges said the case should return to London's High Court later this month for a further hearing.